The amount of vacation homes for sale in Orlando especially in the Disney area can appear overwhelming at first. There is a wide choice of wonderful vacation homes for sale, especially the new construction resort communities. You will see a range of pool homes, vacation villas and townhomes in stylish resort communities. They are moments away from amusement parks, world class golf courses, superb shopping and quality schools. New townhomes from $298,190 plus a range of new vacation homes with private pools from $335,490. Solterra Resort is one of the most in demand resort communities by vacationing families. Take a closer look at these new homes. Over 68 million visitors last year to Orlando. There is quite probably no better place on the planet to own a property which you can use and receive a very healthy cash flow. The choice of holiday homes is amazing. As you start to look at buying vacation homes near Disney Orlando, the only dilemma you may find yourself with is what to buy. Call it what you will, a holiday home, vacation villa, a pool home or even a town home, there are literally hundreds of floor plans from which to choose. We know that at least one will fit you budget and meet your criteria. We are an established real estate company (32 years) specialising in buying and selling vacation homes near Disney, Orlando. You only get to be around as long as us if you and your clients are successful. Our primary objective to find out from our clients is how you want to use the property and what are your expectations. For the majority of our clients the answer is ‘a little of both’. They want to use the property several weeks each year with the family and rent it out for the remainder of the year. Orlando has always attracted international buyers in huge number in addition to the national market. The vacation homes market in Orlando is much more affordable than many other popular destinations. Orlando welcomed over 68 million visitors in 2016. Approx 2 out of 3 visitors to Florida, stayed in Orlando. The buying process is straightforward and the lifestyle is one to be envied. Discover the best new Orlando vacation homes for sale near Disney. 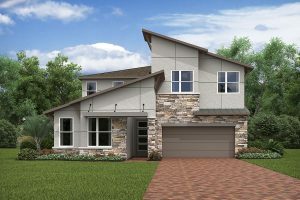 The Solara at Westside Resort Community will include more than 900 lots, and will feature resort-style amenities, town homes and single-family homes. The property is in Osceola County near the Four Corners area and Walt Disney World. Read more about Solara Resort at Westside for more details.